Application Deadline: 16th January, 2017 and February 12, 2017 respectively. Brief Description: For high performing students applying to a study programme at Mid Sweden University, the University is offering a number of scholarships which will result in a tuition fee reduction of 70 000 SEK, 140 000 SEK or 250 000 SEK, depending on the programme one chooses to study. Scholarships are Offered annually at Mid Sweden University. 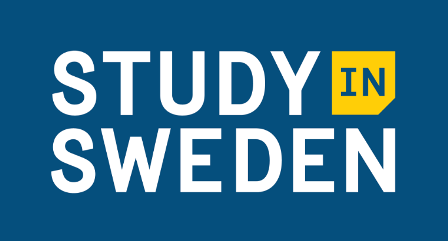 Eligibility: All students who have applied to a study programme at Mid Sweden University starting autumn semester 2017, and who are required to pay tuition fees are welcome to apply for a Mid Sweden University Tuition Fee Scholarship. The applicant must be citizen of a country outside the EU/EEA/Switzerland. The applicant must be required to pay a tuition fee. Pay the tuition fee according to the tuition fee invoice. If payment is not made on time the scholarship will be withdrawn. Enter into a written scholarship contract with Mid Sweden University before starting the studies. Confirm his or her citizenship by means of a passport photocopy before starting the studies. Inform Mid Sweden University if personal conditions change and the student is no longer required to pay a tuition fee. The scholarship will then be withdrawn for that part of your studies. If the scholarship holder does not enroll at Mid Sweden University, the scholarship will be withdrawn. If the scholarship holder intermits his/her studies at Mid Sweden University, the scholarship will be withdrawn for the remaining part of his/her studies. If the scholarship holder wrongly has stated that he or she met the conditions for the scholarship, by a misunderstanding or for another reason, the scholarship will be withdrawn. Selection Criteria: The scholarships are awarded on the basis of academic excellence. The application for studies must be made no later than January 16, 2017, at www.universityadmissions.se. The applicant must be admitted to one of the above mentioned programmes starting in the autumn semester 2017. The application for the scholarship is done by filling out an online application. The academic excellence of applicant will be assessed in accordance with the supporting documents submitted when applying for admission at Mid Sweden University. The applicants do not have to send in the supporting documents again. The application form can be found here.Last day to apply for scholarship is February 12, 2017. Now that all the information about Mid Sweden University Tuition Fee Scholarship for International Students has been delivered nicely; talented students who are eager to pursue their Free Tuition/Scholarships/Study Sweden for Bachelor, Masters, PhD, doctoral or postdoctoral level, Associate Degree and Other Degrees, can apply now.